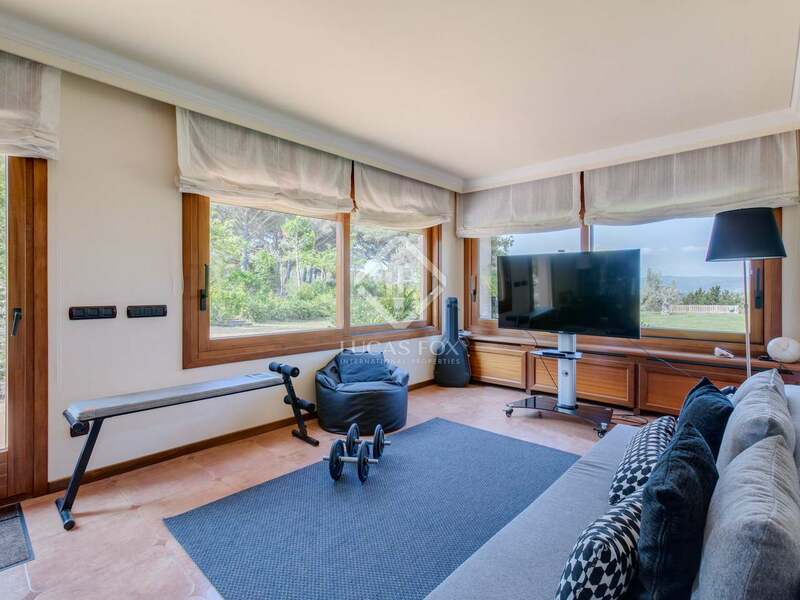 This Mediterranean-style luxury villa sits on a large flat plot of 32,800 m², which is entirely fenced off and offers an attractive lawn garden, an attractive sail-shaped swimming pool, a pine forest and a vegetable garden; all enjoying far-reaching views over the Gavarres mountains. 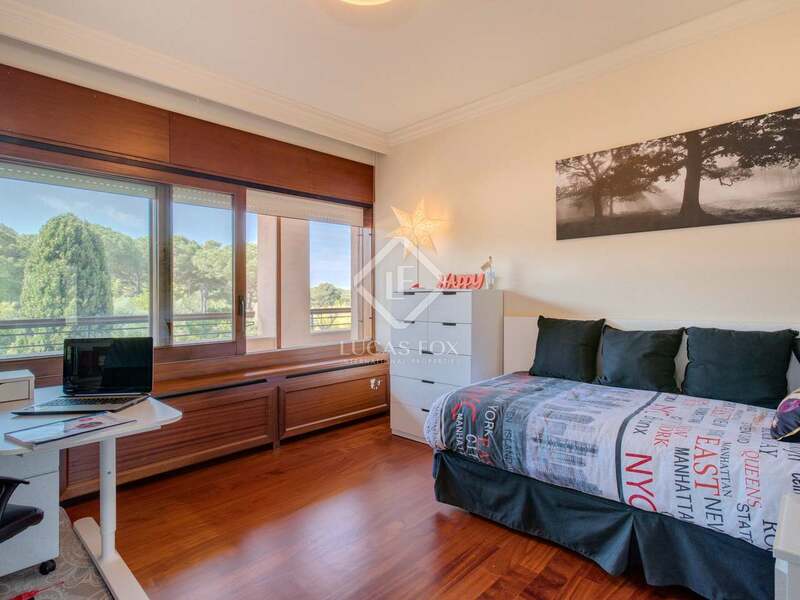 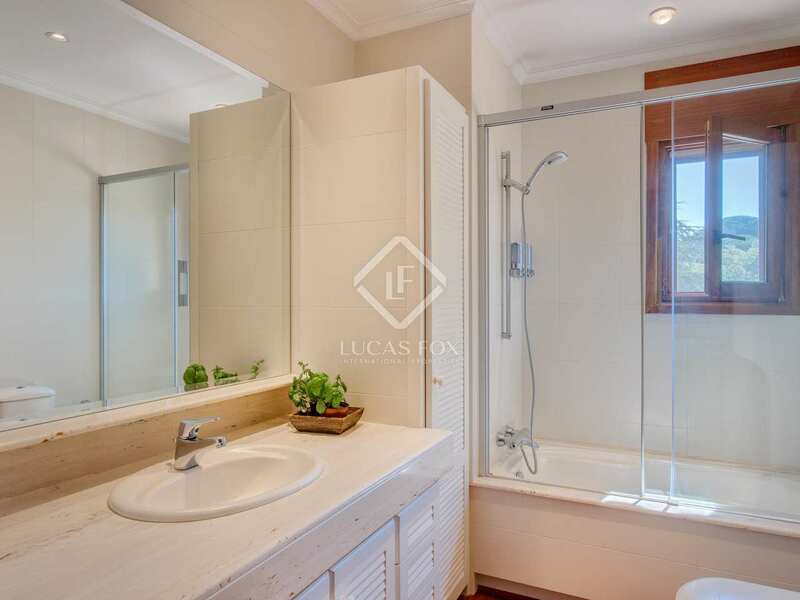 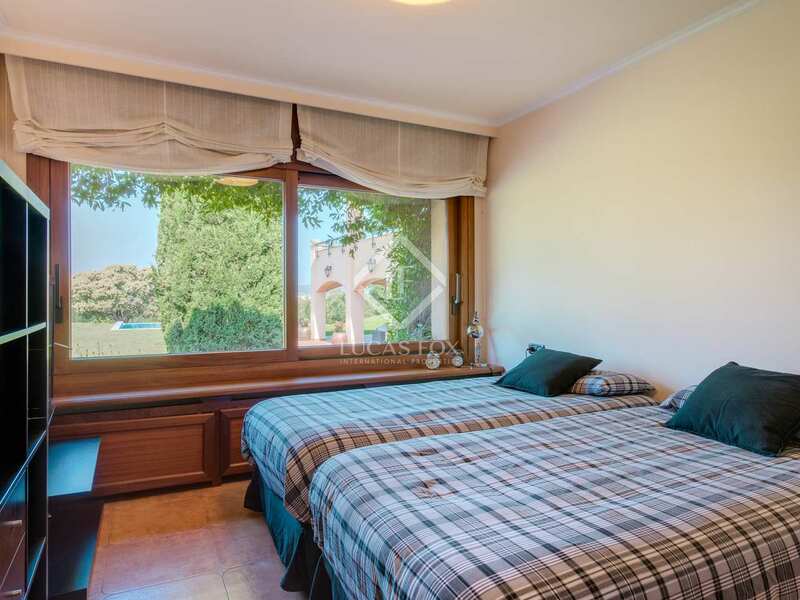 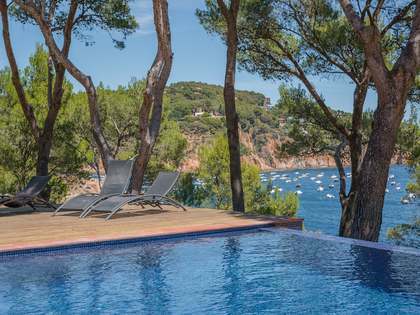 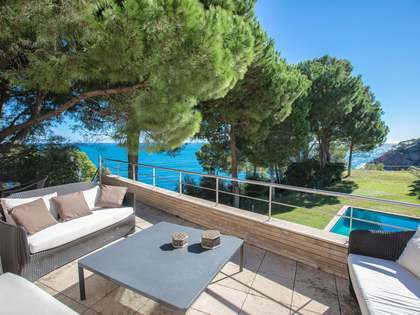 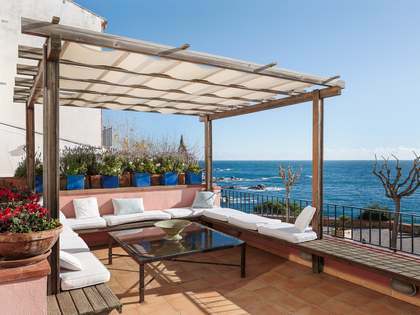 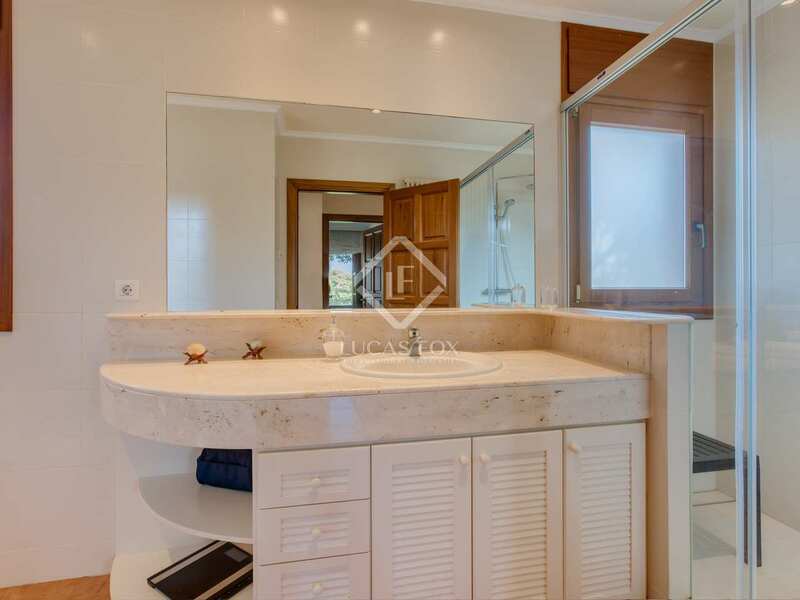 The idyllic leafy setting, amidst pine forests and fields, in the hills behind Llafranc means that privacy is guaranteed without compromising on easy access to the town's amenities and the beach. 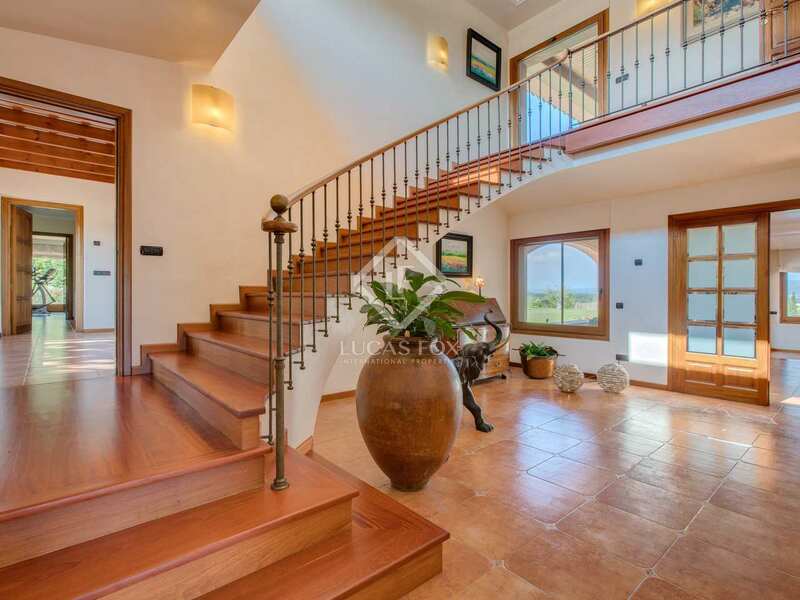 With 6 bedrooms, 5 bathrooms, spacious living areas and several terraces, space abounds in this high-end country home. 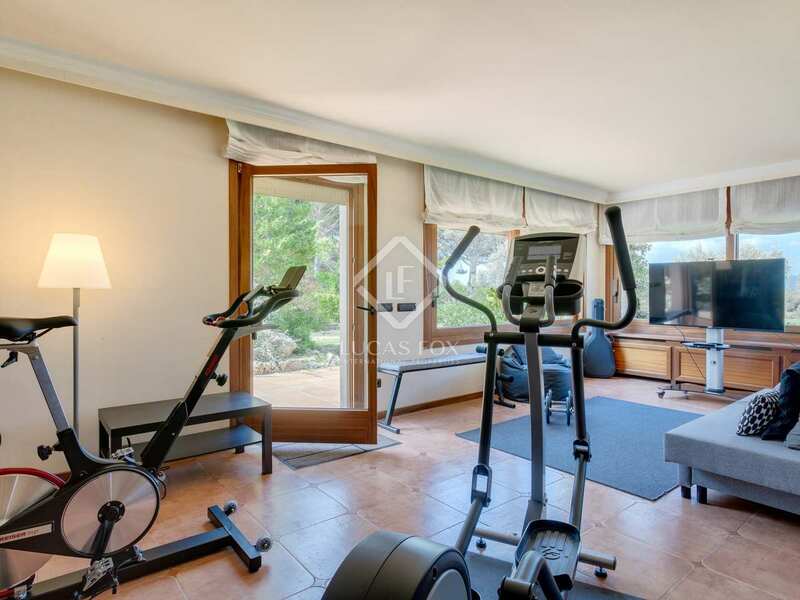 We approach the property via a long driveway and find an extensive exterior parking space as well as a garage for 4 cars. 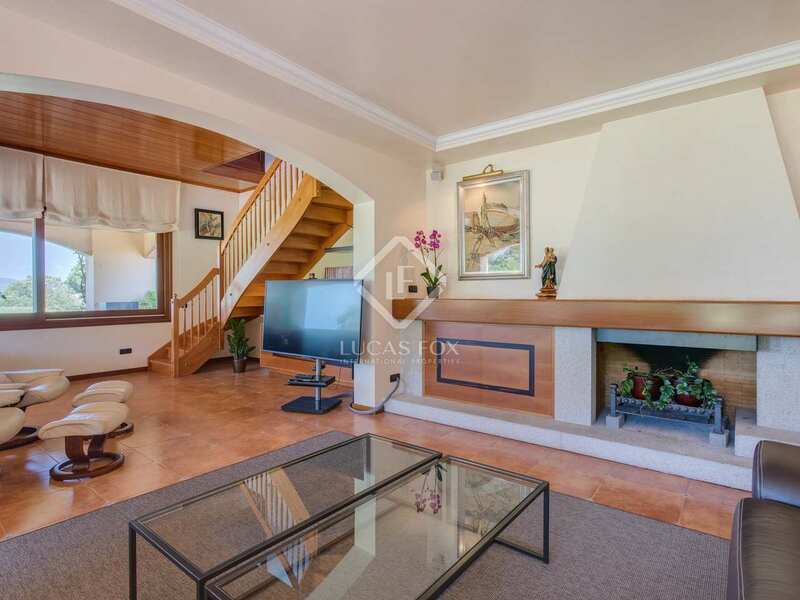 Entering the main door on the ground floor of the home we are welcomed into a beautiful, bright entrance hall and lobby with an impressive sweeping staircase up to first floor. 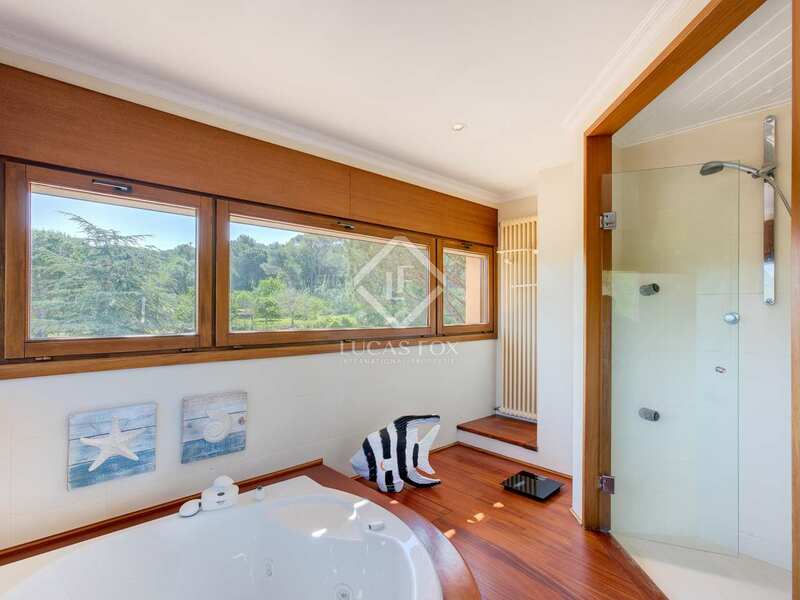 Leading off the lobby we find three bedrooms and a bathroom, one of the bedrooms being particularly spacious and could be used as a guest apartment or gym. 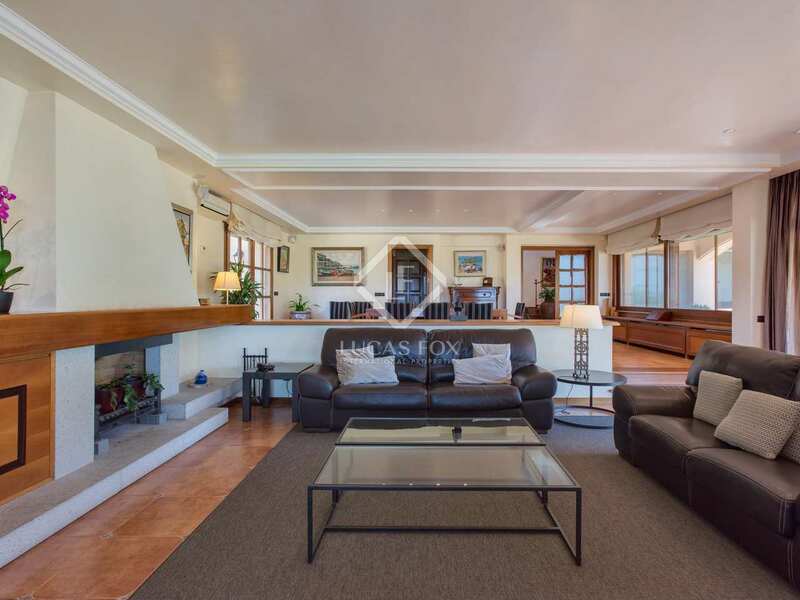 Also leading off the lobby we find a large fully fitted kitchen and breakfast room and the split-level living room/dining room with a large fireplace and doors that open out on to the terrace and garden. 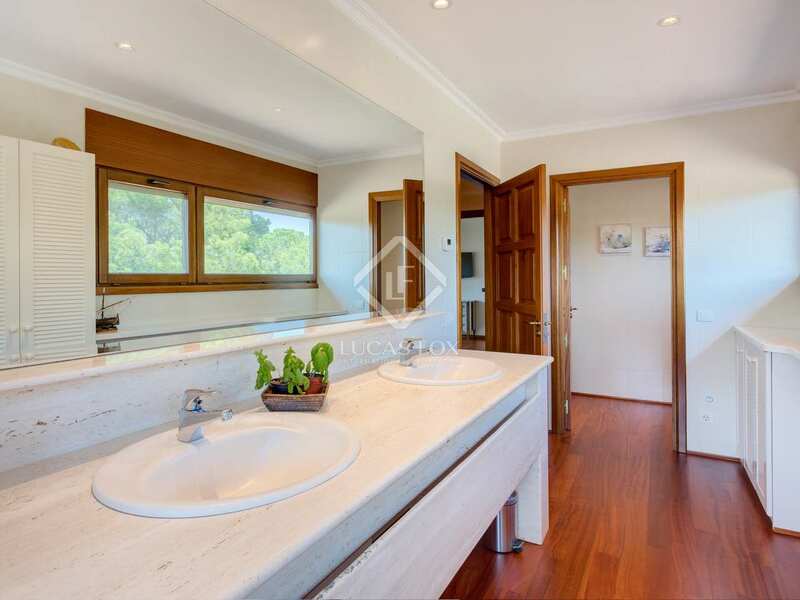 There is also a guest toilet on the ground floor. 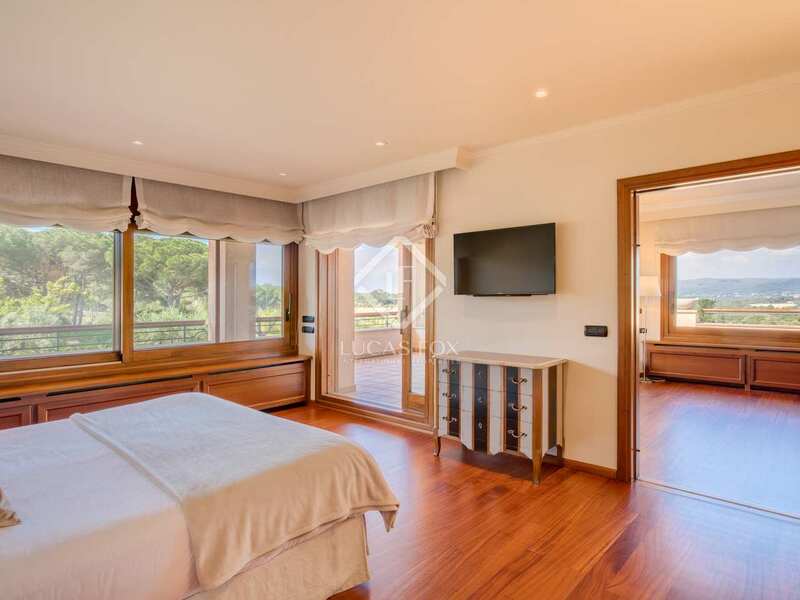 The master bedroom, with its ensuite bathroom, separate walk-in dressing room and large terrace overlooking the gardens, awaits us on the first floor, along with another double bedroom and a bathroom. 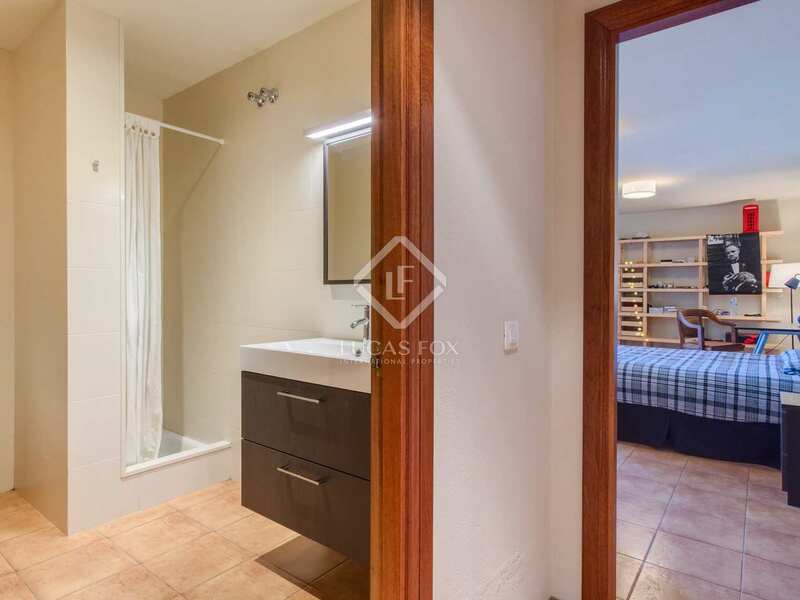 The final double bedroom and bathroom are located on the lower ground floor, on the same level as the garage. 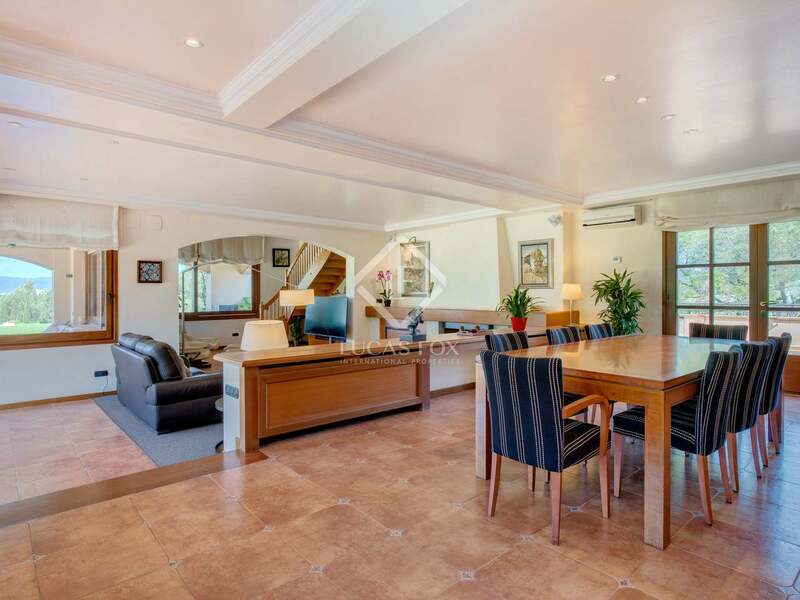 The property boasts high quality finishes and elegant neutral décor, requiring no renovation work whatsoever. 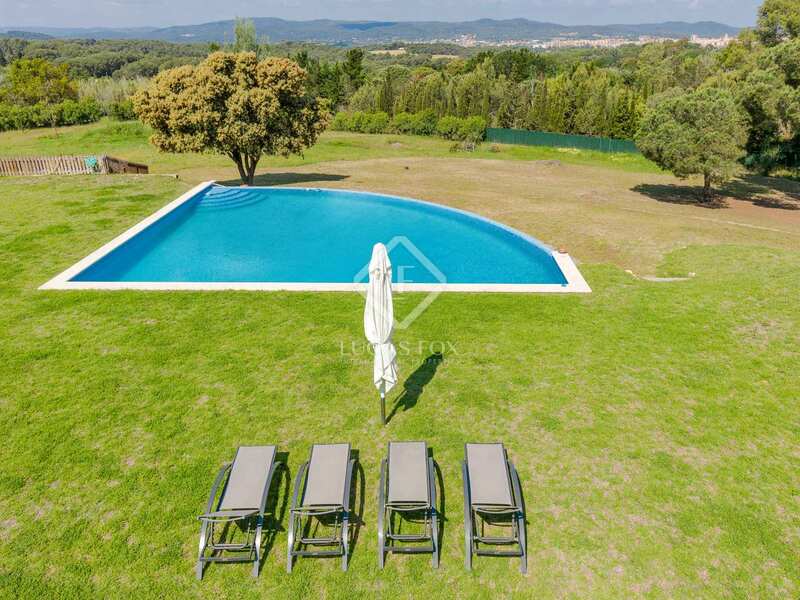 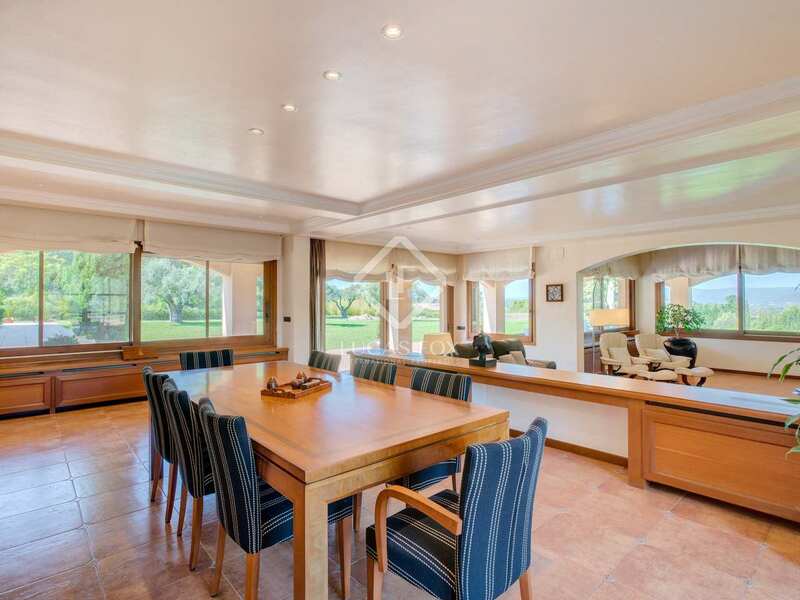 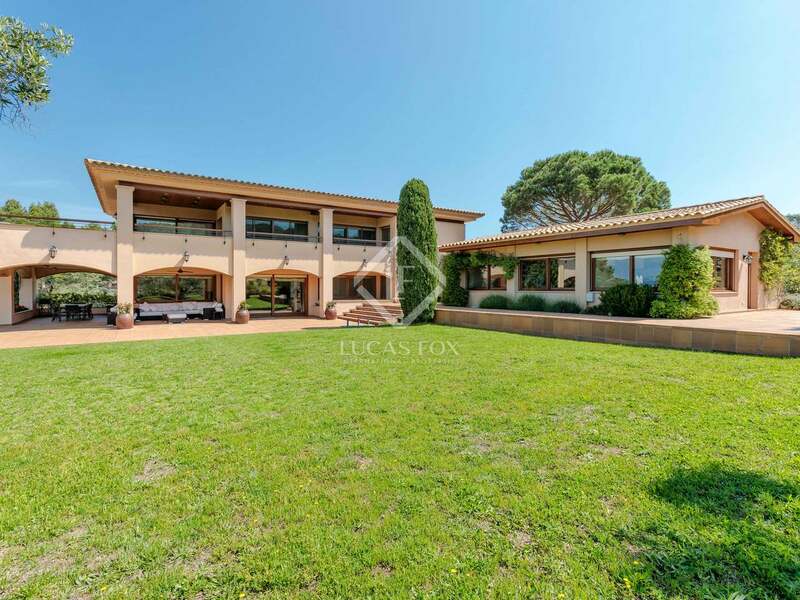 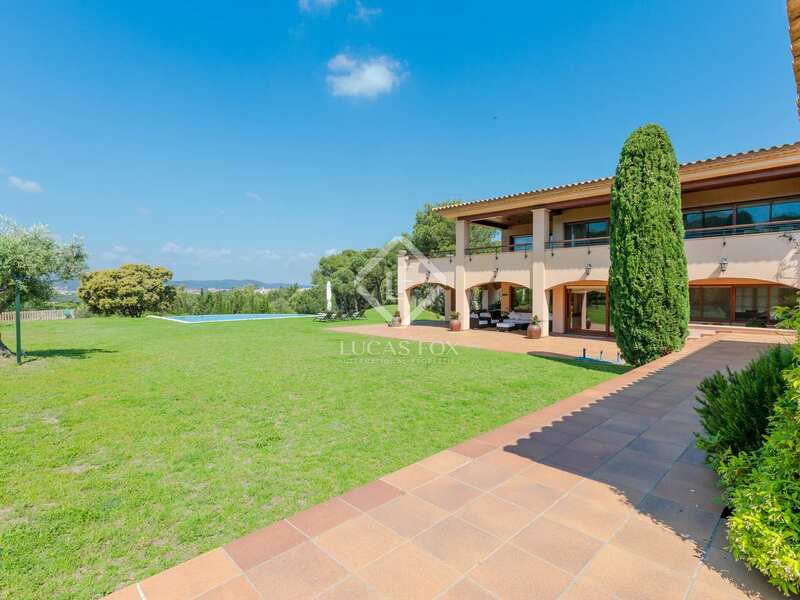 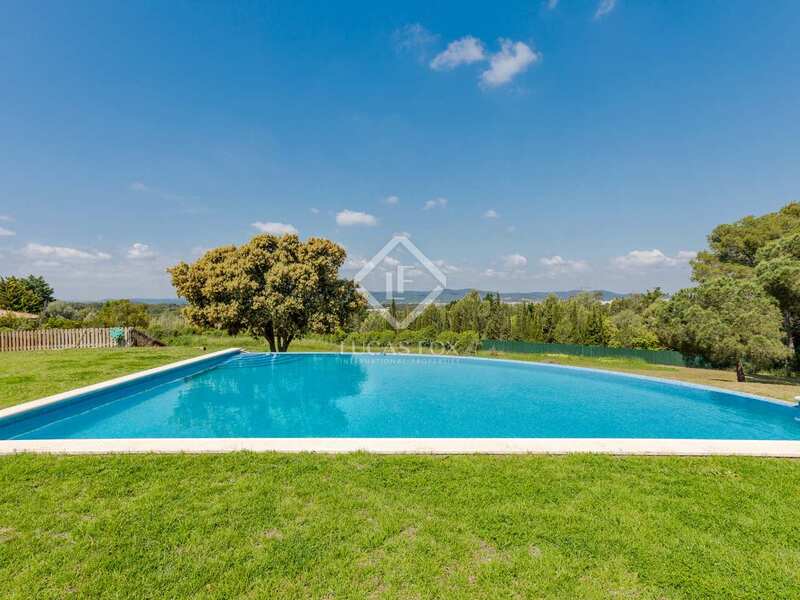 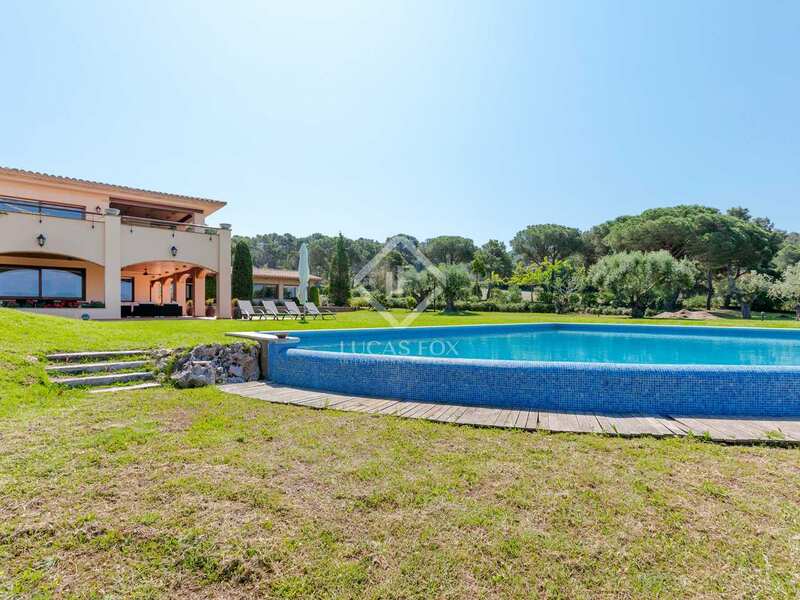 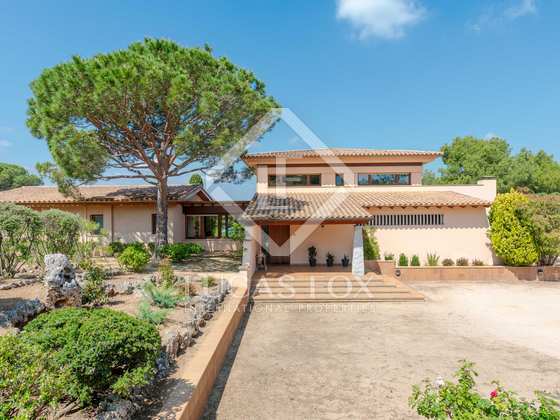 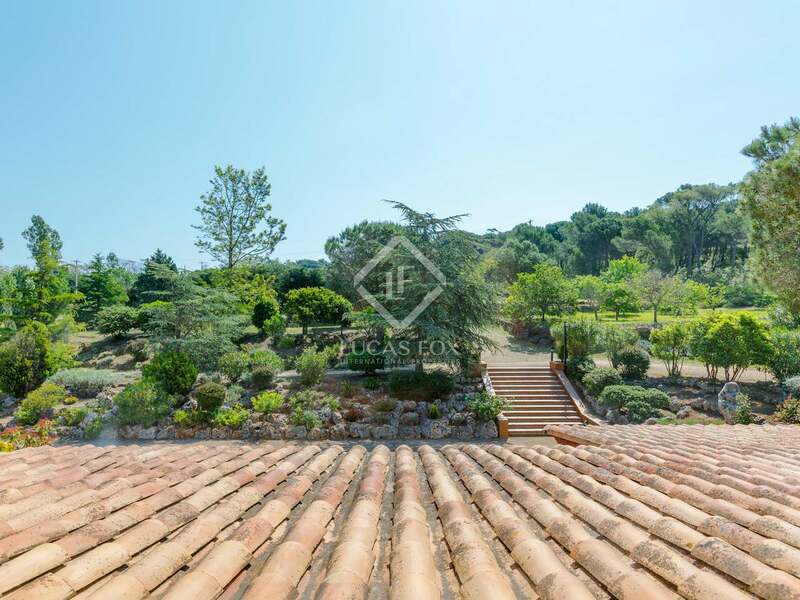 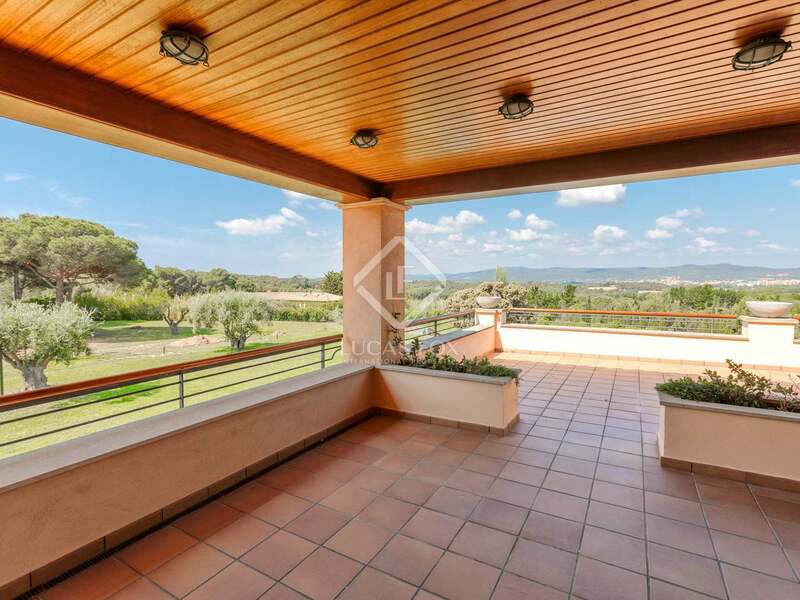 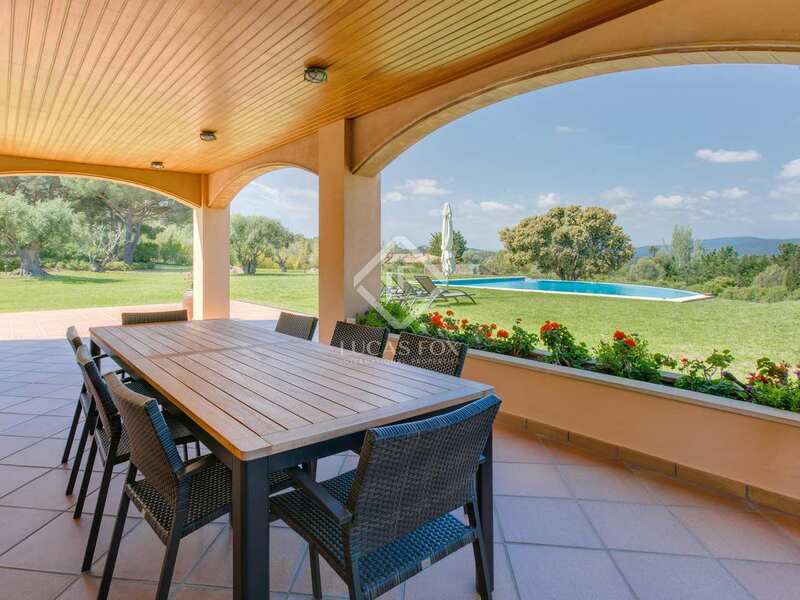 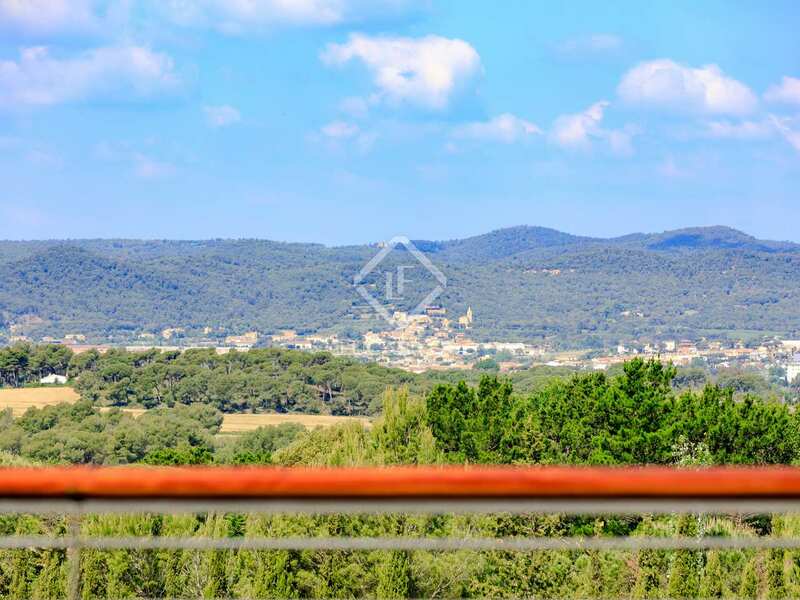 This is a magnificent opportunity to acquire an impeccably maintained and sizeable country home with vast outdoor spaces and breathtaking country views; all within walking distance of beautiful Llafranc and its beach. 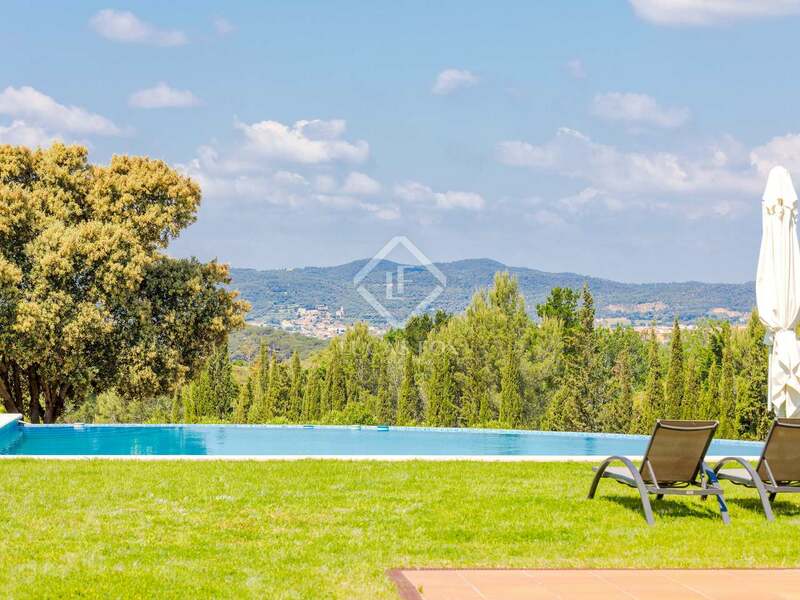 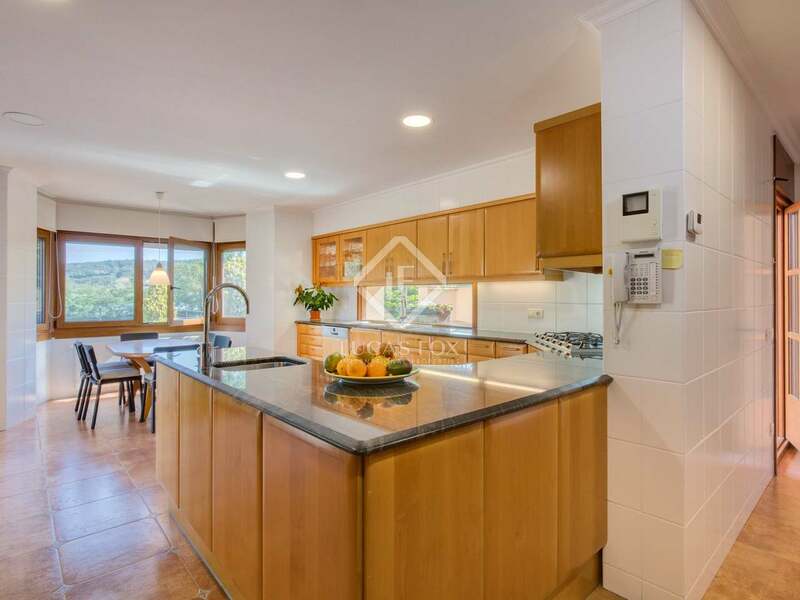 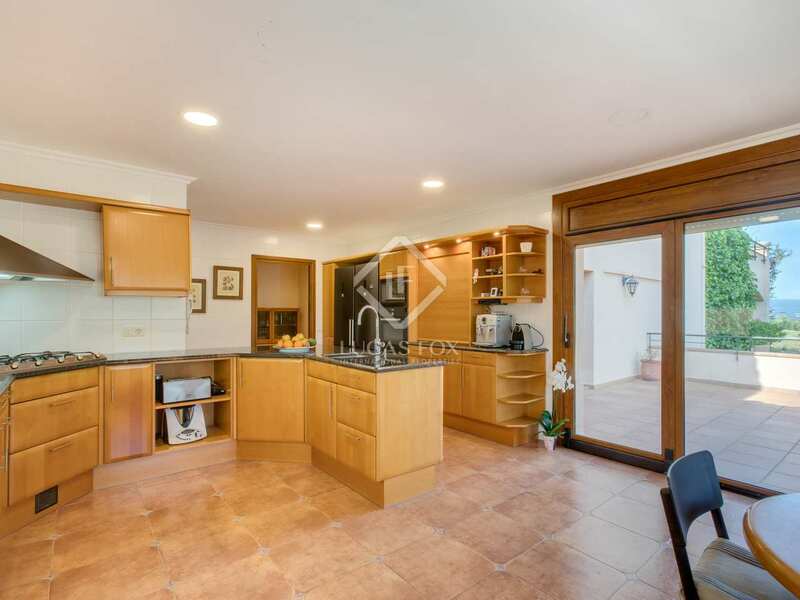 This property is situated in a peaceful setting in the hills just behind Llafranc, offering total seclusion. 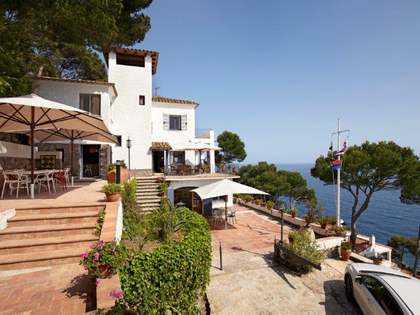 It is only a 15-minute walk by foot to the centre of Llafranc with its beach, port, numerous restaurants and shops.